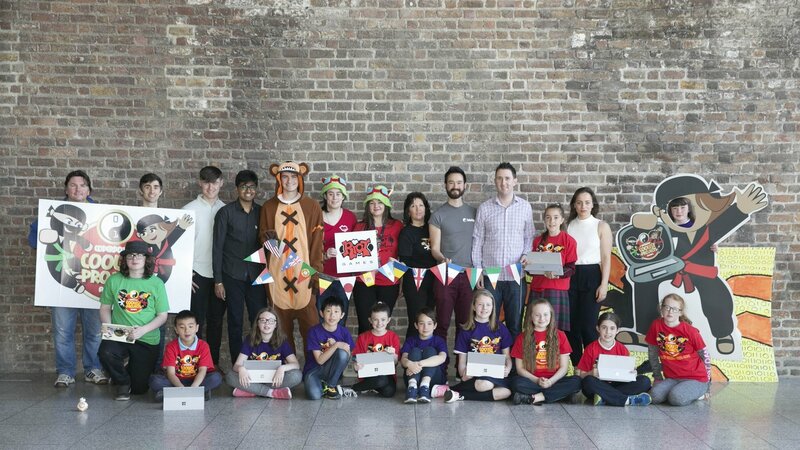 CoderDojo, a Dublin-based charity, runs a global network of free, volunteer-led, community-based programming clubs for girls and boys. At a Dojo, children learn practical, relevant skills to develop stuff like websites, apps, video games, and more. Setting one up means securing space and peripherals, as well as pesky necessities like electricity and internet. Coordinating over 800+ volunteer-led, community-based clubs in more than 60 countries falls to CoderDojo’s fewer than ten full-time employees. Having such a lean staff causes the organization’s backlog to fill up with “nice to have” items that could be game-changing but aren’t essential to day-to-day operations. A website refresh, new content, maybe some branding. Or even, given their digital platforms, a security audit to identify vulnerabilities hackers could potentially exploit. As it happens, some of the most ambitious items on the CoderDojo backlog are things in which Dublin Rioters have a bit of expertise. For 24 hours, Rioters and CoderDojo staff, working side by side, overhauled, audited, wrote, designed, and verbed all sorts of other verbs in our Dublin office. They converged on our canteen, transforming the spacious hall into a command center for the five assembled strike teams. Each of the groups had a different mission focused on something from CoderDojo’s wishlist: build a new website, rewrite the content and support literature, run a security audit, develop new training materials and even design a potential brand mascot or two. Once the teams came together, the Dublin canteen morphed into a hive of enthusiasm and productivity. Pop music kept the mood upbeat, even into the early-morning hours as people pressed through sleep deprivation toward the goal. Whiteboards filled up with concept sketches and task breakdowns; fluorescent Post-Its migrated into “Done” columns. When the final seconds of the countdown clock ticked away, CoderDojo had a brand-new website complete with visual branding makeover and SEO functionality to broaden reach. One team finished designing and developing a fresh pack of Sushi Cards--analog educational downloads with difficulty tiers and plenty of topics for kids to flip through at Dojos. Another team pushed reset on the site copy, working together to deliver a clear message that’d be more engaging for parents and Dojo organizers. We were able to make a positive impact, build relationships with some of the CoderDojo crew, and see the fruits of the collaboration blossom in real time. We’re looking forward to what they do next.